Kingsley carpets supply and fit a complete range of laminate flooring and engineered wood flooring. We guide you in choosing the look and quality you want at competitive prices. We have experienced teams throughout West Cheshire including Frodsham, Northwich, Knutsford, Warrington, Nantwich and Chester to ensure that your wood floor is installed to the highest of standards by experienced local craftsmen. Stunning natural timber floors which reflect the very best in quality, affordability, texture and style for any domestic situation. 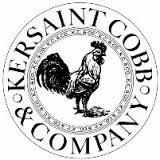 Kersaint Cobb Source ethically managed timber direct from producers across Asia, America and Europe to complement other natural flooring products in their range. V4 is a family run business based in the South of England and have been providing quality hardwood flooring for over three generations. Now manufacturing new and exciting flooring for the UK and international markets in factories across the world. From the traditional and timeless elegance of the solid wood collection to the technologically advanced engineered wood floors, the emphasis is always on providing beautiful and durable flooring solutions to meet modern requirements. View Brochure. A family business, with a long tradition of quality craftsmanship, Haro manufacture all their products in Germany. They have decades of experience and invest in developing new technologies that meet the most stringent requirements. So much effort comes with a price, but this price is value for money. Haro hold a leading position in the development, production and installation of sports flooring in major arenas around the world. And you can directly benefit from this. The experience and expertise from developing sports flooring is applied directly to the manufacture of parquet flooring for your home. This lead in knowledge and experience also makes all the difference in HARO laminate floors, cork floors, parkettmanufaktur, CELENIO and DISANO. Woodpecker is the main brand for the flooring wholesaler and manufacturer Kenton Floors. At Woodpecker ‘Affordable quality’ is no idle claim, traditional high standards of selection and machining are seen in each floorboard – instituted in the original small factory where the first floors were made – and still applied today across our 13 state of the art manufacturing facilities around the globe. We have a large range of samples available for you to view in our Frodsham showroom or if you can’t come to us, we can bring the samples to you using our Home Select service. Our experienced experts can guide you through the huge range of wood flooring. Contact us now to book an appointment.